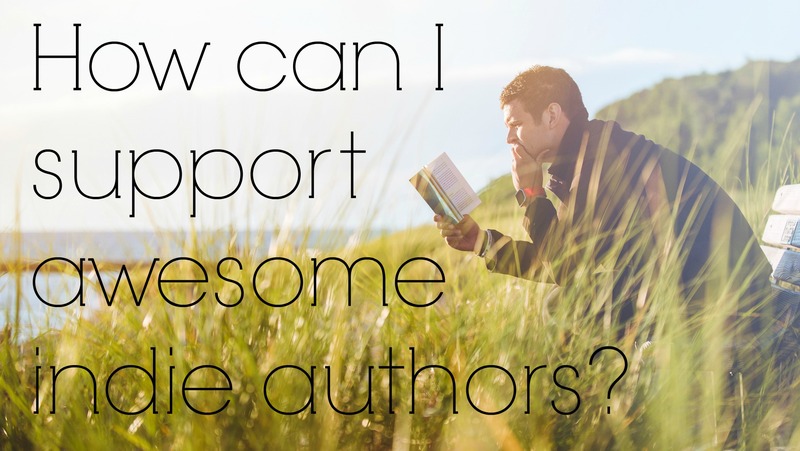 How can I support awesome #indieauthors? How about a review or two (or three)? Amazon recently changed its review policy so that fake reviews, or reviews in which someone raves about a book they’ve never read or product they’ve never used, more difficult to post. It is a policy designed to protect the reader / buyer (a good thing!) however, one of the side effects of their more stringent rules is it is now more difficult for independent authors increase their book’s exposure. Reviews matter, not just to other potential readers, but to marketing services and other press. Many sites won’t let an author even pay for an ad unless a book has achieved a certain quantity of ratings with an average star rating of 3.5 or higher. So tougher rules and more hoops potential reviewers have to go through mean greater difficulty for authors to gain the necessary number of reviews needed to play in the market’s big leagues. The Fair & Foul received a few new positive reviews recently (thank you!) and knowing how very difficult it can be to gain these, I thought I would express my gratitude for those who have given me a chance by paying it forward and sharing some reviews of a few books I’ve read recently that might not be on your radar. In Descent, author Kristina Stanley introduces readers to Kalin, HR manager at Stone Mountain Sky resort as well as several other individuals who either support or participate on an aspiring Olympic racing ski team. Before long Kalin finds herself promoted to Director and is placed in charge of human resources as well as security, a role that forces her to utilize her people reading skills to solve a different sort of problem. If that weren’t challenge enough, her boss expects results immediately. Specifically, the name of the person responsible for the death of one of the competitive skiers. Told through several points of views, nearly every character is given a potential motive for the crime with clues scattered throughout. I found myself rooting for Kalin, not only to solve the mystery but also to succeed professionally as a director (the fact she has two different colored eyes like I do was a bonus). It is obvious that Ms. Stanley is very familiar with life at a resort her tale not only entertained me but also educated me on the world of competitive skiing. This cozy mystery also includes romance, overly confident exes, small town gossip, animal lovers, and the great outdoors. Those who require high-speed chases, cloaks, daggers, or other gun play in their mysteries may be disappointed. As I am not one of those people, I found the book to be engaging and have since read the sequel, which I also recommend. I knew going into this story that it was about a young girl who enters a fairy-like realm, however, what I didn’t expect was the author’s style of writing which was as delicate and beautiful as the magical world she’d created. Helen Jones has written a modern YA fantasy adventure and yet reads like a something you might expect from David and Leigh Eddings. There are all the elements I’ve grown to expect in the genre, which may or may not be a good thing depending on taste: a love triangle, cunning dark creatures, altruistic beings of the light, prophecy, lost heirs, and hidden artifacts of power, but the beautiful prose makes is what really sets it apart from other recent additions to the genre. There were certain plot elements that confounded me such as the point of a family heirloom that burns the owner when danger is near but can be rendered useless with a simple touch or exactly how the artifacts of power are expected to work, but I am confident that these questions will be answered in later books. All in all, this is a very promising start to the series. I picked up this book before going on vacation, which proved to be great timing on my part as I wasn’t able to put it down. The protagonist, Nigel Walden, is a fairly average guy, except for one small problem: things keep unhappening to him. It is a term he uses to describe the phenomena in which his memories don’t line up with the memories of those around him. He copes as best he can, accepting that he simply can’t form attachments with anyone or anything until the day he meets a woman asking for his help who not only knows all about his condition asking but seems to know more than she is telling about his future. The author uses extremely short chapters to tell the story, which can be a bit of a distraction but does serve to keep the pages turning and the plot twists as Nigel learns more about the cause behind his affliction. This is science fiction in the same vein as The Butterfly Effect or the show Timeless and is a story as much about fate as it is about unforeseen consequences. Update from last week: For those who read my post from last week, Hurricane Matthew did stop by for a visit, bringing with it several inches of rain as well as strong gusts. We experienced mild damage and had swamp-like conditions temporarily develop in the yard, but were otherwise unharmed. Thank you to all who reached out to express your concern. I am truly touched. My thoughts, however, remain with those who were not as fortunate as I was. I quite agree on Helen’s “Oak and Mist” – she really knows how to write! And that series is now on my list. Thank you for the recommendation. It sure is. I’ve seen a number of book reviewers throw in the towel, which hasn’t helped. One thing is for sure, I will need to double my advanced reviewer inquiries and start asking a whole lot earlier in the process next time around. I didn’t ask at all for the first book, and realized my mistake after the fact. I asked reviewers ahead of the second book, but didn’t ask enough. I am my own work in progress. Me too. *Sigh* I think we all learn as we go 🙂 I’d be happy to advance read for you if you are interested. I completely agree Allie! Reviews are one of the most powerful forces in the success of a book. A friend recently got her book into bookbub by having enough positive reviews, and it ended up getting to number 1 for a few hours in amazon’s fantasy anthology section. Congratulations to your friend! I’ve been trying to build up to a level qualifying for a bookbub placement, but haven’t reached it yet. Marketing is tough. Do you know what criteria bookbub requires or is it just more submitting and hoping they accept it? I don’t fully understand what they consider their baseline threshold as I suspect acceptance is weighed against the competition of similar requests in a given period, but I’m fairly certain I need at least 2o positive reviews. I’ve heard though in some cases a book needed more than 200 to get the nod. How many do you have right now? 15 on one book, 11 on the other, so I have a while yet to go which is why I am so very grateful for people who take the time to go through all those hoops and write something up. I just checked on the screen shot of my friend’s book when it was number 1 and it only had six reviews on it with a 4.7 out of 5 stars. I didn’t know about those new Amazon rules. Good of you to support other indies. And glad you’re okay! Reviewers now must have spent a minimum of $50 with an active credit card on Amazon to qualify and your amazon membership doesn’t count toward that eligibility. This prevents spam bots and fly by night reviewers. They are also cracking down on those that participate in review exchanges, meaning I’ll review your book if you review mine or other forms of paid review exchanges. You can still pay a service such as Kirkus to review your book, but those are considered editorial reviews and go in a different section on your page. Wow. Crazy. I guess it’s a problem that needed to be address, but bummer that it makes it more difficult for real people. I’m happy to see that Amazon has revised their review process. I remember a blogger years ago writing a post about how to scam Amazon. I was shocked that anyone would do that, but then realized it was happening right in front of me and I didn’t know it. Also, I appreciate your reviews. All three sounds great. Thanks. It is nice that the reviews will be more trustworthy in the future, but I will miss reading some of the more over the top reviews on products such as banana peelers and the like. Those reviews made me laugh. The fake book reviews that you could buy for $5, not so much. I read a ton of indie authors and always leave reviews. For all authors, I know how important reviews are. Unfortunately, most of my fellow authors don’t seem to do the same for others! Thank you for that! It doesn’t take that much time, and makes a huge difference. Ugh. Reviews. Amazon. Rules. Drama. *faints* I think this might help with the losers who have nothing better to do with their life than troll indies and leave horrid reviews for fun. Um. Okay. ? But what about reviews being taken down from people with ANY relation at all to the author? As in, say, through social media or blogging. How the hell else are they going to find your book? I’ve never understood this. I tend not to place a public review if I didn’t like it as my mom taught me not to say anything if I couldn’t say something nice. I figure I just wasn’t their intended audience. However, I respect that others are going to give bad reviews, which I’ve appreciated, especially when it comes to product reviews, as long as they can explain why they didn’t like it. What bothers me is the people who write a negative review with the comment, “I didn’t read it,” not “I couldn’t finish it,” they admit to not reading it at all. Baffling. So I firmly support the anti-troll movement. The reviews being taken down is troubling for exactly the reason you suggest. It is really, really hard to get someone to take a chance on your writing if they haven’t either seen a previous example on it on a blog or if they haven’t heard about you directly from your friendly neighborhood street team efforts, especially if your budget doesn’t allow for a $200+ Kirkus review or a $300+ NetGalley listing because all your budget went toward your editor and cover. I’ve been reviewing on Amazon and Goodreads for awhile, but I am considering making more of my reviews public on the blog for this reason. I’ve heard a lot of people say they won’t leave a review if it’s a 1 or 2 star. Just not worth it. Also, we all have different tastes so someone else might like it. I’m talking about the ones who just troll amazon and leave horrid reviews not having read the book at all, yes. Those. It still hurts authors if people don’t read the reviews and just look at the star rating. Trolls know it, and that’s why they do it. Evil. Yes, it’s difficult to get reviews and then for them to be taken down because you “know” them. Of course you do! I mean, not all but the first people to buy will be people you know IRL or from your online community. Your idea sounds like a great one. Hi Allie! You are so right, reviews are the most important (and most difficult to get) part of an indie writer’s promotional campaign – thank you so much for taking the time to read, review and share my book, it’s very much appreciated. I will admit, I am not quite so quick to leave a review for a traditionally published book, mostly because they typically already have over 300 reviews by the time I get around to picking it up and I don’t feel they need mine, but if I know it is an indie, and I enjoyed it, I do try to leave the review. It makes a huge difference not only for their reach but for an author’s confidence as well. I really am looking forward to your other additions to the series. And I’m with you on the traditional authors – unless I really really love the book, I don’t leave a review because I don’t think they need it. Allie Potts with a timely reminder of how important reviews are to independent authors, especially with recent changes to Amazon’s review policy. A great post! First of all, Allie, I’m glad you were unhurt and your property largely undamaged by the hurricane. As for the books you mentioned, they all sound pretty interesting, but “Unhappenings,” sounds particularly intriguing. I don’t mind short chapters. A lot of my reading I have to do on trains or during a few snatched minutes of dead time during my day, so short chapters suit me well. Thank you! The fence can be repaired and the ground soil and grass replaced. I am very fortunate indeed. There are still thousands without power in North Carolina and the rivers are still rising. It’s pretty messy to the east of me. I’m one of those who likes to read a full chapter at a time, so the quick chapters fit my schedule perfectly, but it was a bit of a distraction to have the story broken up just as I was getting into a chapter. Even so, I really enjoyed it and while I anticipated some of the twists, I was still surprised by the third act. Reviews are the lifeblood of Indie authors. Thanks, Allie, for pointing that out in such a constructive way. I ALWAYS post a review of a book IF I like it. If I can’t post at least a three-star review then I don’t post one at all. Why? Because I believe anyone who has taken anywhere from six months to several years to write a book deserves to be respected, and, if the book is not to my liking, my disparaging it simply based upon my personal preferences only serves to demean those efforts. My review policy is pretty similar. I am grateful for negative product reviews to so I might steer clear of tools that break in first use or toys that arrive in pieces, but the enjoyment of a book is much more subjective. Thanks for the reviews! I’m always interested to see what books others are reading, and “Descent” sounds like it could be right up my alley. I enjoyed them and hope others do too. Excellent post – reviews are the life blood of indie authors! It doesn’t have to be long – even a couple of lines would be helpful and appreciated. It really does make a huge difference. Thank you once again for helping to support indies (and authors in general). You’re welcome – and I’ll be joining the ranks December 1 when my first book is published. Hoping karma brings me some reviews! That’s great news. I hope the same for you. obviously I agree on reviews. I do my bit where I can 😀 I love the pay it forward thing too, I think it’s so important to support each other, plus, Karma. ❤ ❤ got to love love. I judge a book by its blurb or back cover but the front cover definitely gets the first notice.